In October I made the trip to Southend on Sea to see a wonderful exhibition. Here's the sea front with the longest pier in the world - apparently. 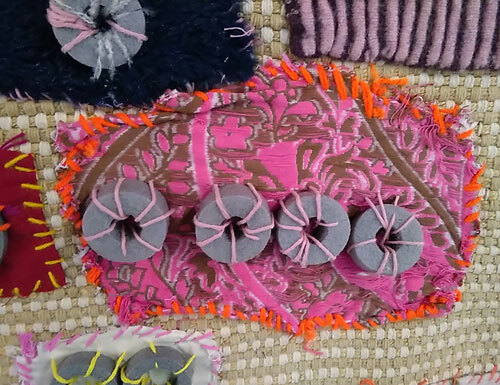 The Beecroft Art Gallery was hosting the touring show Radical Craft organised by Craftspace showcasing work by self-taught artists. It's now on show in Scunthorpe, you can check the tour schedule here. It's good to see it's going to places that aren't saturated with culture and usually get forgotten by major exhibitions - so none of the big cities. 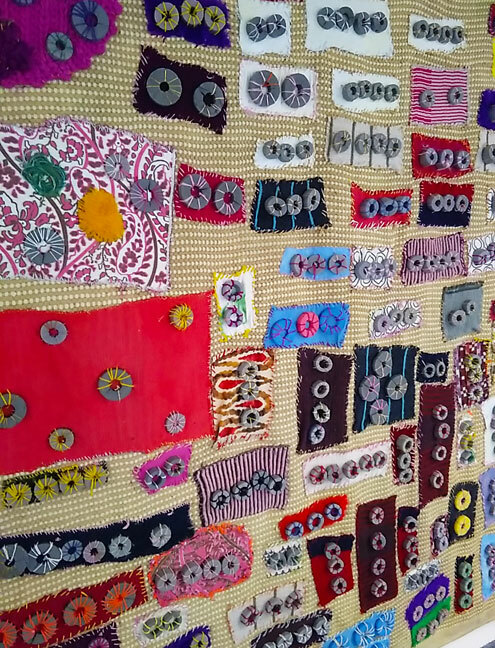 I loved this textile piece by Lasmin Salmon, the colour mixing was fantastic with lots of small areas that drew you in to the detail and then the whole piece worked beautifully in full view too. 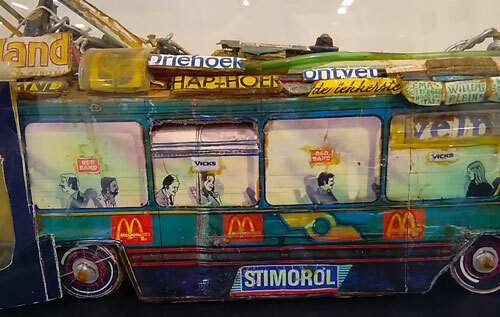 This tram was made by Willem van Genk from collaged, recycled objects. There were a few trams by him, and so many great and varied pieces - too many to show here - by so many talented artists, so do look at more here. 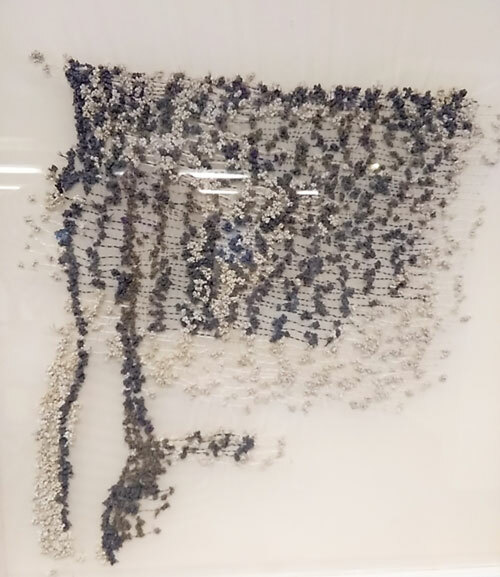 I also loved these monochrome textiles made with a sort of knotting by Atsushi Yoshimoto. 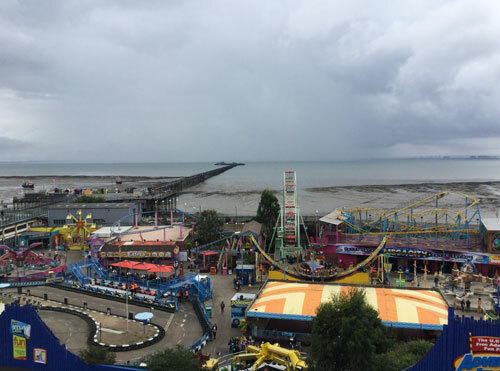 Southend is only an hour from London on the train but didn't appear to have been changed by 'down from London' types like Brighton, Whitstable, Margate etc. 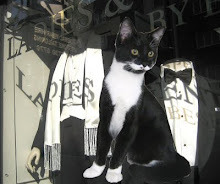 which all have cafes and trendy and vintage shops and are full of people who've left London. It's surely only a matter of time though before it gentrifies in this way? So the charity shops were very cheap and there are loads of fish and chip places on the sea front. 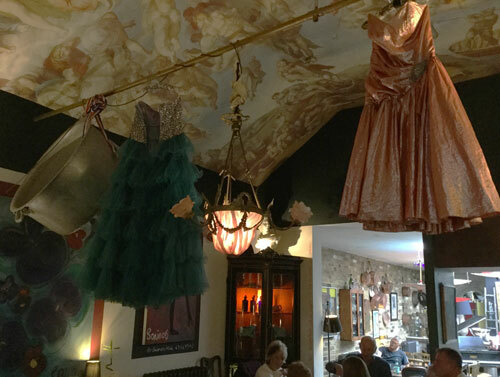 However by chance we found one place which would appeal to those looking for a visual feast, this cafe and restaurant San Fairie Ann was really styled amazingly. They have gone for the Paris flea market style in a big way. 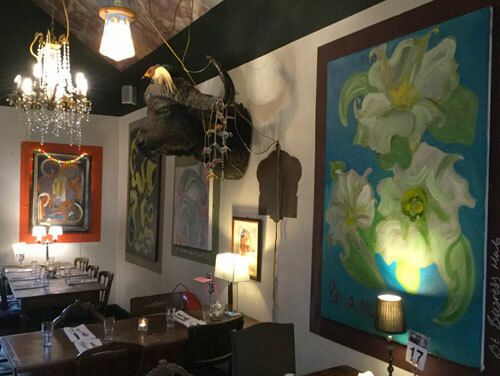 I loved the scale of their decor, a buffalo head on the wall and sizeable objects hanging from the ceiling - none of your mini, pretty, vintage tea time style stuff, this was done with bigger, bolder brush strokes and was so full of character. The menu looked amazing though we just had tea and cake - I say just, the cake was about 5 layers high! They don't do things by halves here. 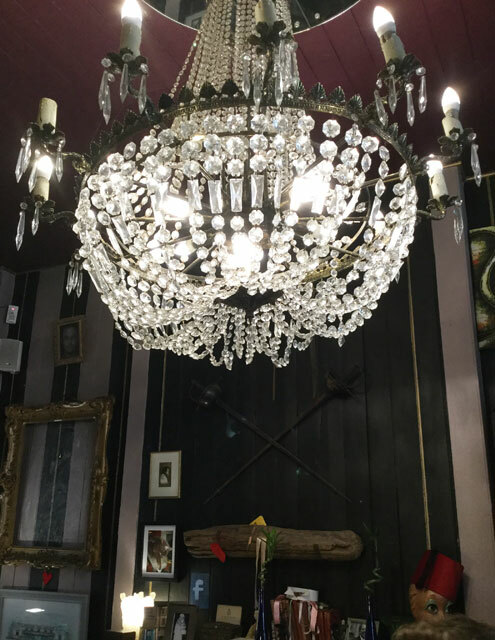 And they had a large chandelier by the fire place, it looks great but of course I always look at these and want to take them apart for the glass pieces for my chandeliers!